I wish to bring to your kind notice that many students are encountering tragic accidents while taking up Industrial / Educational tours leading to loss of life. Hon'ble Vice Chancellor, while expressing shock and anguish over the incidents proposed the following guidelines to be followed by all affiliated colleges to avoid such tragedies in future. The College authorities should obtain prior permission from the concerned Industries permitting visits to the students. The details of the tour programme need to be intimated to all the students well in advance. Every team has to be accompanied by responsible teaching staff. It is mandatory that every student need to take approval from the Parents in writing. 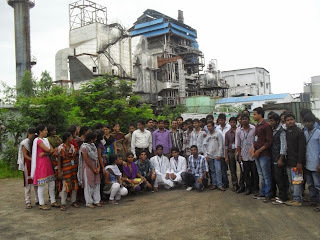 The Students as well as the accompanying Teachers need to undergo an orientation programme intimating the precautions and code of conduct while attending Industrial / Educational tours before commencement. I request to kindly scrupulously adhere to the guidelines and the copy of the tour programme along with the permissions may please be communicated to the University in advance.